i had a very productive weekend! i vowed to spend 95% of my free time sewing and 5% of my time on the computer... it wasn't easy but well worth it! i got the pincushions done for my giveaway winners! vicky & amy they will be on their way to you both today! i stuffed my bakeshop pincushions with fiberfill to take all the pictures... but i knew that wasn't the best thing for pincushions... i just ran out of time... but i didn't want to send vicky & amy ones they couldn't use so i went on the hunt for crushed walnut shells... because they are apparently the best for pincushions... i also had heard you need to go to the pet store to get this stuff... well i don't have a pet and i've never been to a pet store... but i did this weekend... and apparently the actual purpose of crushed walnut shells is lizard litter... who knew? last package going out today is to rachel.. just cause... an arcadia honeybun i got her at quilt festival... my patisserie pincushion... an aviary charm pack and some leftover simplicity layer cake squares... she knows about the honeybun... but not the rest... the pincushion is hers b/c the strips were hers!... but rach.. don't use it... cause its got fiberfill.. just stick it someplace to look pretty.. like near your lamp... and then the charm pack... well that charm pack has been sitting on my table for months talking to me and asking to be made into something... and i love it but i don't know what to make... and it told me i better use it or give it to someone that will... so rachel get out that matching mini honeybun and use this charm pack and layer cake squares ok? good. thanks. and best of all i finished my gypsy rose disappearing 9-patch topper! how it arrived... all cute and with a treat... but that isn't in the picture cause i ate it as soon as i opened it... i love skittles!! sittin all pretty on the bench i made when i was 10.. or 11... somewhere around that age... all i know was i said dad i want to build a bench... all out of 2x4s!!! and lastly... i just had to share this one... cause i think its funny... that would be me standing behind the quilt waving it around... one person photo shoots are fun!! so did you have a productive weekend? can you include that gypsy rose topper??? oh it turned out super cute!!!! It's awesome! That nine patch tute is on my to do list. I did some sewing this weekend but not as much as you did. Great job! I love weekends like that. great quilt Julie! Tell me, what is the cream fabric there? on the back that you used? My weekend was productive, but yours looked more productive than mine. I love the disappearing 9-patch topper that you made...it's beautiful! It's on my list of things to do. And I did not know that crushed walnut shells would work in a pincushion. Thanks for that bit of info. I love disappearing nine-patch quilts and yours is fantastic! I had a productive weekend making some witch blocks for a Halloween swap I'm doing and also got some quality Harry Potter reading time in too. I'm rereading them from the beginning and it's a lot of fun! The disappearing nine-patch quilt it wonderful. I have made ONE block once to try it out. Now I can see I need to make a bunch and make a little quilt. 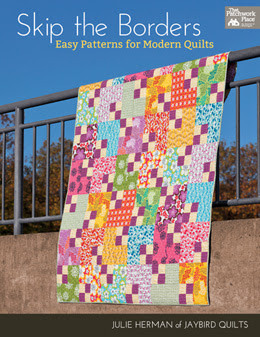 Did you quilt it on a longarm or on your regular sewing machine? The quilting is excellent. i wish my weekend had been so productive. the disappearing nine-patch is really quite the cute lil quilt, and the backing is great. Lizard litter???? Who knew that even existed! I love your quilt! I had a VERY productive weekend at home with my parents. Went through lots of stuff in my childhood bedroom, worked on my wedding scrapbook, and did some quilting. 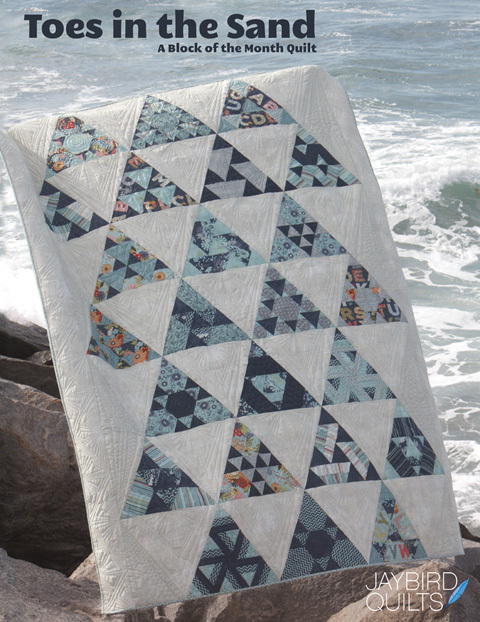 oh my heavens, I love this quilt. I'm not just saying that either, I really, really, like it. So much I think I need to give it a try. Ok, I think you've helped me get back in the sewing spirit! I'm excited to get my pincushion too!! And thanks for filling it with awesome stuff! I don't love any of the pincushions I own, but I think I may now! That topper is so cute! You guys are all killing me with cuteness - I just can't keep up!! Boy Julie...you've been super busy! It cracked me up when I found out that crushed walnut shells were for lizard litter -- ewwwww. It sure makes good stuff for pincushions though (minus the lizard poop.) I LOVE the new way you did your label -- very, very cute!!! I forgot to say how I LOVE the way you worked your label into your back! 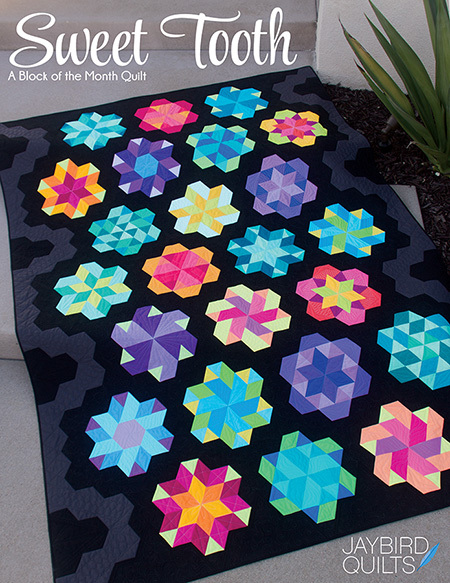 And the whole quilty is adorable!! 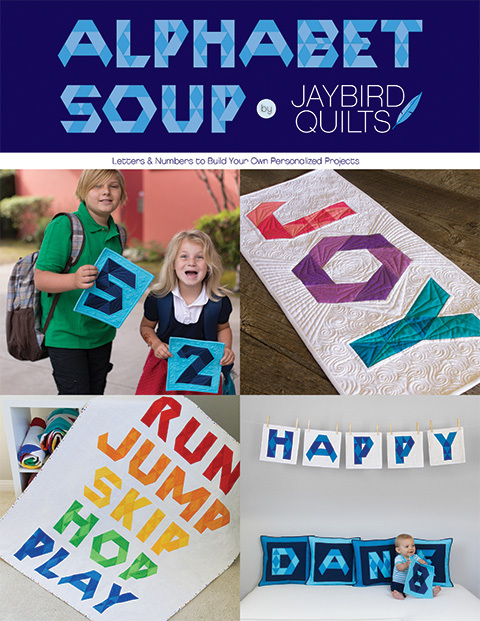 Congratulations to the winners, & well done on being able to be so productive love the quilt. It's fun to see the 9 patch quilt done in different fabrics. I do LOVE how you encorporated the label in the back..awesome. I can't believe we are going to meet at market woohoo! You really have been productive and I enjoyed seeing all that you did! Lovely job! Oh you definitely did have a VERY productive weekend. The pincushions looks great, and thanks for the tip on the crushed walnut shells, never heard of this product before. 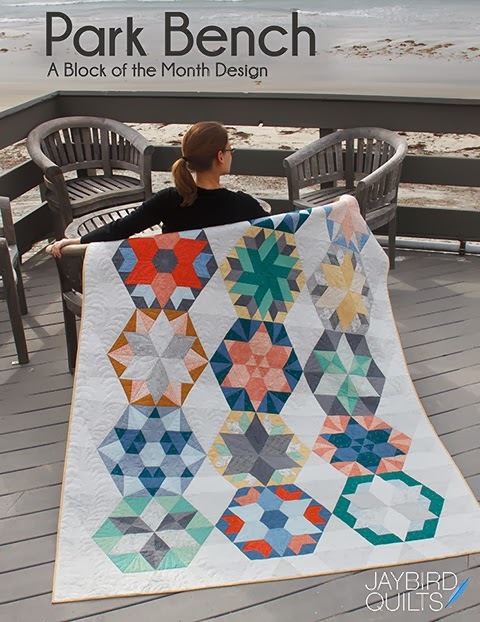 Love the disappearing nine-patch quilt, beautiful! Hope the rest of your week is just as productive. Wow, you have done such incredible work. The bench is amazing too. So much talent, you need to share it. I spent part of the weekend working on my spider webs. I think I have the hang of it, now I just need a chunk of time to get it all done. Wow were you ever busy! 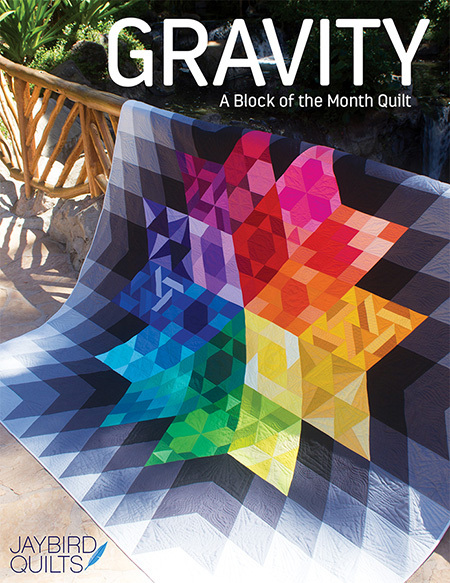 So much quilty goodness going on. Yes, walnut shells are great for the pincushions and one bag goes a long way. Congrats to everyone, especially Rachel.